54 countries wide with a crowd of over 1 billion people, Africa is an extremely diverse place with a variety of cultures, music and tastes. Finding one person (or group of people) who can be recognized as the most inspiring and entertaining artist by the entire African community (and the world) is not possible! But MTV Base (@mtvbaseafrica) begs to differ as they launch The MTV Africa All Stars. Fans are welcome to vote for their favorite artists by simply commenting on mtvbase.com or on social media using the hashtag #AfricaAllStars! From a first look at this competition, there are no rules or restrictions so far. Just vote for your favorite African artist! 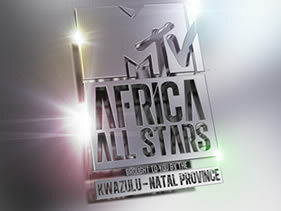 The Africa All Stars campaign was introduced early on March 17 and we can already see some trends. As of March 21st at 8:00 PM (Universal time), here are some cool voting facts. * If you wonder why Zone Fam is at the second spot and Burna Boy isn't, the trends showed that Zone Fam was most likely voted by more than 1 person while Burna Boy seems to have been voted by the same person in a repetition manner. I hope you are all excited, I know I am, so let's go, vote and represent for Africa! Here is a shortcut: check out the Twitter convo about the #AfricaAllStars below and quickly cast your vote!